circuit, reducing the circuit rust and avoiding to adding impedance. 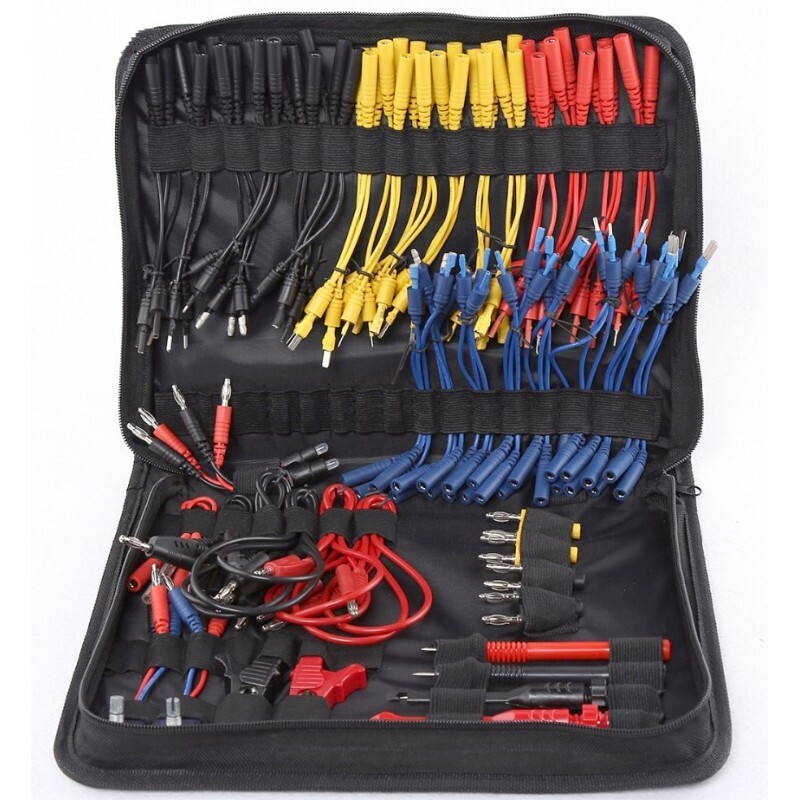 2.Apply to any automotive multimeter, extended line of probe for oscilloscope. More convenient connection and test more rapidly. 3.When checking the electric current, only use the lines to connect circuit, do not need to cut the electric wires. 2.Can be used quickly for adjustment and assists technician in checking car problems accurately. to avoid unnecessary new parts replacement. 4.Complete set of various wires in this kit are suitable for most European, American and Japanese made terminals. of transmission shift gears and control signals. 6.SRS connector provided can simulate airbag and routed contracting device of safety belt to avoid accident or miss-judgment. 4.Connect the instrument test table pen and transfer switch wiring connection hole.